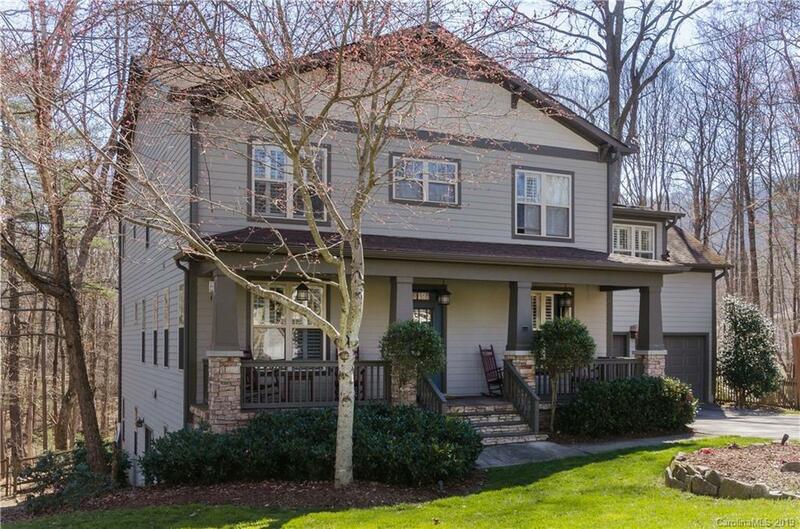 Exceptional 5 Bedroom, 5 Bathroom home on private, fenced lot in Biltmore Lake.Updates include:painted interior & exterior, flooring,appliances & fixtures,garage doors,plantation shutters,bookcases,cabinetry & landscaping.Great open floor plan for comfortable family living and entertaining friends. Large kitchen with breakfast bar overlooks family & dining rooms.Convenient first floor office. Lower level in-law or teenage suite, large FR and flex (home office/exercise or billiard room, home theater, workshop) Second floor features large master suite, en suite bedroom/bathroom, plus two additional bedrooms & shared bathroom,playroom/exercise room. Home includes security, central vac,outdoor lighting and firepit, outdoor sleeping porch swing, access to community trails from back yard and access to all that this community offers - including lake, swim beach, floating dock,hiking trails, boathouse,clubhouse, basketball & tennis courts,playground, and more!Only12 min to downtown Asheville.